Trillian has decided to announce the latest version of their product, version 5.0. They were have a public beta available soon. You can find out additional information here. It seems like just a few months ago that version 4.0 came out… but whatever! If they have all the AIM features (like version 3 had ironically) for once, I may consider it. If not than that will be another one that I pass by. 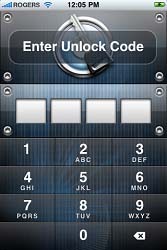 Want a way to securely store your username and password for websites you go to on phone Apple iPhone or iPod Touch? Try using 1Password then! You can get it for FREE for a limited time from AppShopper. • Data Backup & Restore option available on Mac, Windows and Linux. Afrikaans, Albanian, Altai, Arabic, Armenian, Azerbaijani, Bashkir, Belorussian, Bengali, Bosnian, Bulgarian, Buriat, Chechen, Chinese, Croatian, Czech, Danish, Dari, Dutch, Estonian, Farsi, Finnish, French, Georgian, German, Greek, Haitian Creole, Hausa, Hebrew, Hindi, Hungarian, Icelandic, Indonesian, Irish, Italian, Japanese, Kazakh, Korean, Latin, Latvian, Lithuanian, Luxembourgish, Macedonian, Malay, Mirandese, Mongolian, Norwegian, Pashto, Polish, Portuguese (Brazilian), Portuguese (European), Romanian, Russian, Scottish, Serbian, Slovak, Spanish, Swahili, Swedish, Tagalog (Filipino), Tajiki, Thai, Turkish, Turkmen, Tuvan, Ukrainian, Urdu, Uzbek, Vietnamese, and Zulu. *Update* You can download the official version of ATI Catalyst 10.3 here. ATI Catalyst 10.3 Beta is ready for download. Want to try it out? Well you can…. click here to go to download the file here. The password for the zip file is “www.geekmontage.com” You will see a noticeable improvement in your Radeon video cards. Enjoy trying it out! Your video games should work better too! These versions work for Microsoft Windows 7 and Windows Vista 32bit and 64bit.